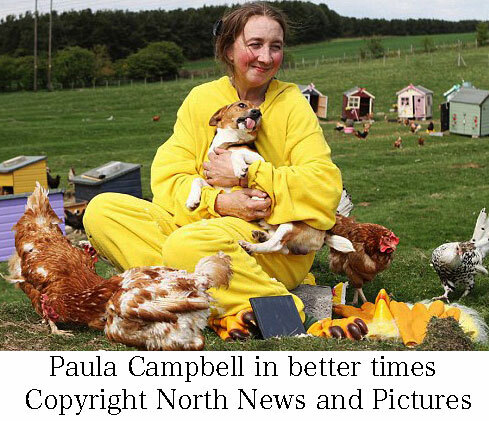 Paula Campbell loves animals. She wanted to help any animal and she did it successfully for many years, which is a monumental and admirable feat because when you save the lives of animals with an open heart and door you are taking on the weight of a heavy responsibility. When it comes to animal rescue, it is the caring and the good who mop up after the uncaring and the less good. The caring attitude of an animal lover almost inevitably leads to trying to do the impossible in caring for two many animals because there must always be a financial limit. It is does matter how large an organisation you manage. Paula set up her sanctuary, which was based on Christian principles, in a remote area in Weardale in County Durham, England. 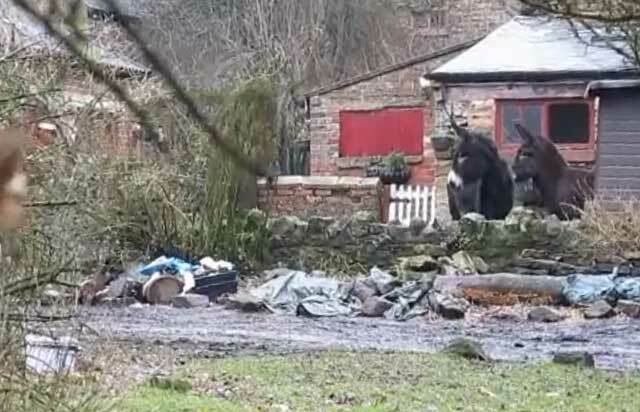 She appears to have owned a farm which she used as the sanctuary. The farm was mortgaged. As the number of animals increased so did the costs. Feeding them alone was £1000 per month. You have to add to that medical bills and all the usual outgoings of running buildings including the mortgage. Paula ran into financial difficulties, which is unsurprising because of the long recession that Britain has recently suffered. Donations are harder to come by. There must have been enormous pressures on Paula to quit. She stopped paying her mortgage installments. That inevitably leads to repossession proceeding by the lender (mortgagee – believed to be Redstone Mortgages). The Lender was granted permission, in court, to take possession and the bailiffs turned up with police. Paula was overcome with emotion and collapsed. Her daughter has vowed to fight on to recover their sanctuary. It will be an almost impossible fight to win. What is sad is that the good suffer in trying to care for animals that should have been cared for by others who I can only presume are less caring. There are 300 animals that need new homes. Promises have been made by the lender who now possess the farm to re-home them. This is will be difficult and require commitment. Will the promises be kept because the sanctuary is no longer in the hands of people who care as much as Paula. This entry was posted in Animal Rescue and tagged animal rescue by Michael Broad. Bookmark the permalink. I’m afraid all was not what it seemed at this Sanctuary and many of us are shocked and horrified at the plight of the animals, I will write more at a later date. All are safely rehomed and having vet treatment now. Its so very very sad and yes its true people have animals dump them and then a caring person will pick up the pieces. Its so easy for it to get out of control when you care so much about the animals and sadly this is the main reason why the rescues that refuse to take more animals because they are full manage to survive. They hate to say no but they have to. It’s over £35,000 now and war is raging on the save the ark animals page because the RSPCA are involved, apparently the animals are all healthy and lots of homes being offered but there’s a hold up because the mortgage company now own them. Such a shame we didn’t know about Paula’s plight before it came to this. Sometimes it takes a crises to get the masses to come to the rescue. Maybe Paula didn’t know how to ask. This is where my faith in the good that most people inherently have. We will see this turn around. I’m confident. DW it is a shame that it took a crisis to get the money flowing. She could have kept on going with these funds. Awesome response. There is a lot of generosity there. Over £29,000 raised so far and donations still coming, it’s amazing how many people care. More than enough to pay off her debts but may be too late. In response to the amounts raised we plan to use the donations to transport the animals. Left over monies will be used to give sizable donations to the rescues that have supported us. Everything will be transparent. We had no idea we would raise this amount and to be honest are quite overwhelmed we plan to keep a record of every penny spent and this will be available to view online at a later date. I feel so sorry for Paula, another person just wanting to do what’s right. It’s a real effort and, sometimes, a heartbreak to keep within your means for the good of cats. I would love to take in more domesticated, but I know I wouldn’t be able to do what is best for them. Ferals are my true heart, and I work hard to move them up the ladder toward domestication. As they evolve, I bring them inside and try to get them to a point where they are adoptable. It’s all a matter of knowing your limitations and capabilities and not waivering from that. Dee, are you part of an organization or are you going it alone? What about the neutering expenses. Do you get financial help? Sorry if you have already posted this. I missed it if you did. You said it well. Knowing your limitations is important. Things can go very wrong if you don’t know and keep your boundaries. This story is a heartbreak. I expect to see it come to a good result. The are many, and enough caring people in the world to step up. Call me the eternal optimist….I cannot help it. This is a beautiful person. As are you Dee, and all the others who care and actually DO something. I can be hard for those who want to do something good for animals because I feel that the world is not a great place for animals. It is too human-centric and commercialised. No, I am not a member of any organization. But, I am closely involved with the rescue group here that fought hard to get a TNR program approved 2 years ago. The group coordinates the entire program with a vet as president. To date, over 2000 cats have been spayed/neutered. They have provided free and low cost spay/neutering, vaccinations, and FIV testing for my colonies. I’m not obligated, but I feel that I should volunteer when I can, such as assisting in surgeries or even just donating food, etc. for all the foster cats the members have. They have also assisted me with adoptions. I’ve been very lucky to have that kind of support. Dee, I think of all the regulars you understand best the issues involved in saving animals (with Elisa). As you so rightly so say Paula is another person who wants to do the right thing and it can be so bloody hard to do that sometimes in a world where lots of wrong things happen. I have taken one. She looks happy in this picture. If only somebody could buy it out and preserve it. Maybe somebody will – it can’t cost that much. 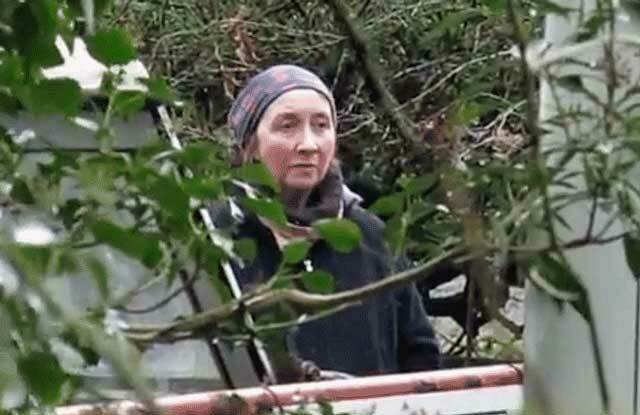 This is so sad, the poor woman has taken on so many of other people’s unwanted animals that she’s become overwhelmed and just couldn’t afford to go on, she must have been desperate as the months have gone on and money dried up, she must have known it was coming but just carried on, trying not to think about it. I feel really sorry for her because she will be worrying about what will happen to all the animals. I’m glad so many people are rallying round to help but oh what a HUGE task. It’s easy to blame the mortgage company but it’s their business, in the end I suppose they had to act on it. Well, I wonder if all the people who have dumped animals on Paula over the years will spare a thought to her, and the animals, in their desperate situation. 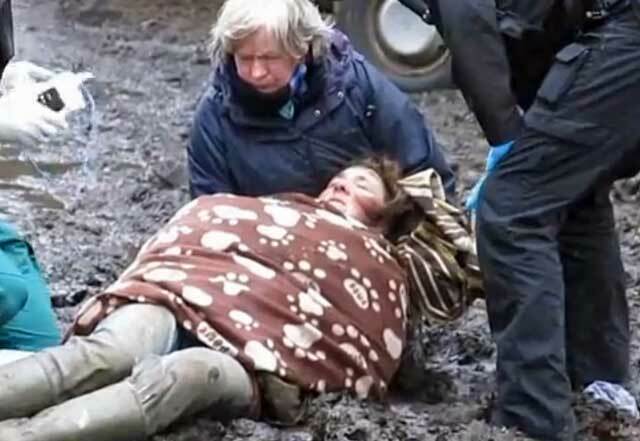 I don’t suppose most of the people who dumped animals on her will spare a thought or a few quid to help now. It will be down to the real animal lovers as always. Good point Ruth. The people who dumped animals on her should step in now. This is the time when she needs them to help. But they won’t. Yes that photo is of Paula. This is very shocking and sad to our area. The other Sanctuaries are trying to make space to take some of the animals but all are overflowing and struggling to feed and care for the animals they already have. it has 768 members already! I agree with you Michael, the good people who try to help animals are the ones who suffer because of all the people dumping their unwanted animals in Sanctuaries, mostly on flimsy excuses and walking away without another thought to the expense of the food and care they will need. Wow.. that is wonderful. I am very impressed with the way people have rallied around. It seems the re-homing will be successful. I just think it can be too hard to run an open door animal rescue. I believe there has to be limits but that is very hard to stick too if you really care as Paula does. This is the trouble, where would those animals go if all the Sanctuaries said they were too full. There is just no happy solution and there won’t be until people take responsibility for their own animals for life and stop dumping them. Offers of homes and donations are pouring in, people are vey kind and it must help Paula a bit to know so many care, but she must be devastated poor soul.